Our newest tradition for a BLACK FRIDAY meal is the polar opposite to everyone’s beloved Turkey & Stuffing. JAJANGMYEON couldn’t be more perfect for the day after the Big Feast, giving those precious leftovers a little space to breathe and be enjoyed later on with gusto. 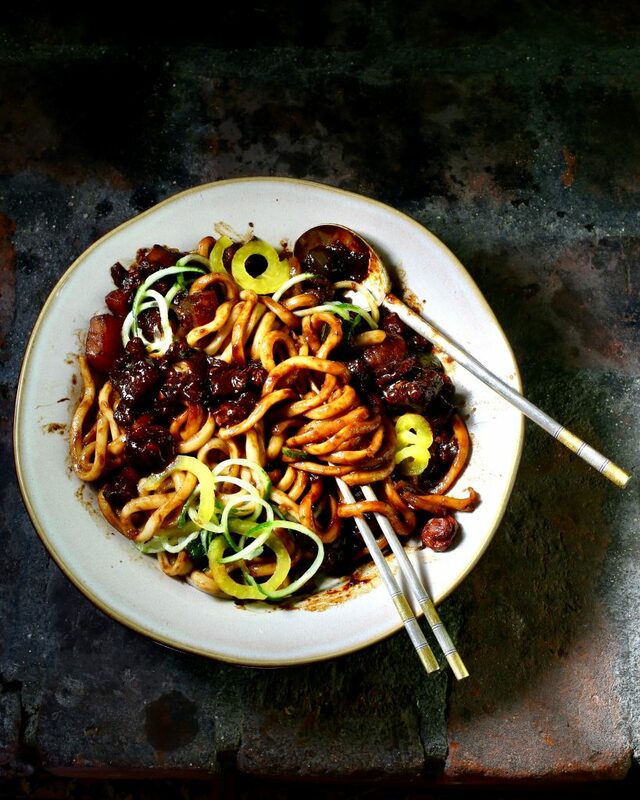 A super-satisfying bowl of noodles coated with slurpy black bean sauce that’s chock-full of pork and vegetables, Jajangmyeon is Korean/Chinese comfort food at its zenith. 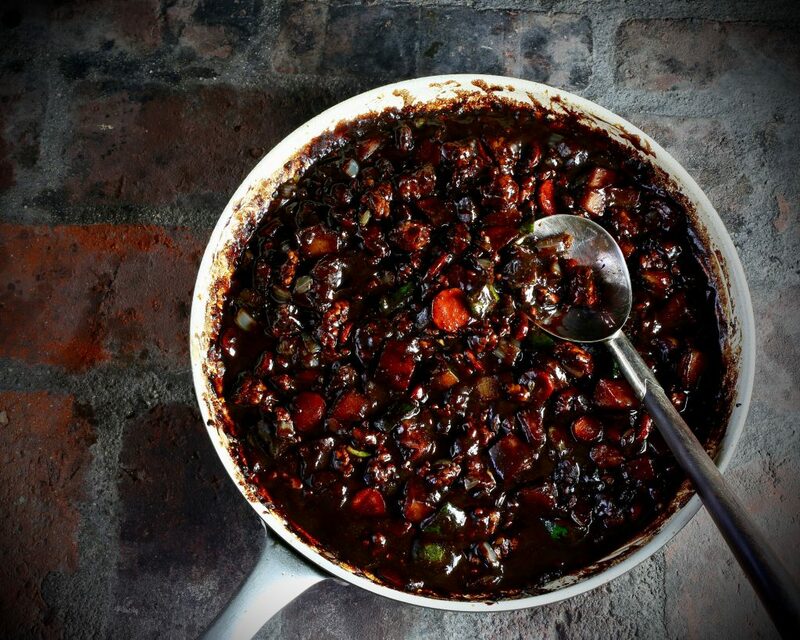 Lovelorn Koreans typically eat this noir dish on BLACK DAY which is “celebrated” on April 14th every year. It’s a day dedicated to single people who haven’t yet found their true love; a reverse Valentine’s Day of sorts. I’m advocating eating Jajangmyeon on BLACK FRIDAY as well. Jajangmyeon can follow that special day of high culinary expectations and not let anyone down with its super tasty salty/sweet flavors and visually astonishing deep dark color.